For the past couple of months we have been working on a short form documentary called “Saving Jayme”. It documents her journey of being a 22 year old woman that is on a 3rd grade reading level and her 10 week transformation into a college level reader. None of this would be possible without The Dicker Reading Method and their unique approach to improving reading and comprehension for all ages and ability levels. 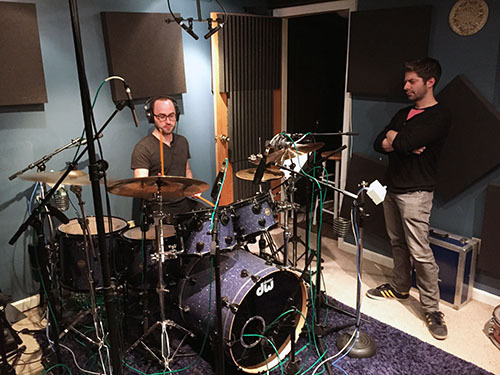 We spent some of last week tracking drums for Jason Glassman’s upcoming EP. 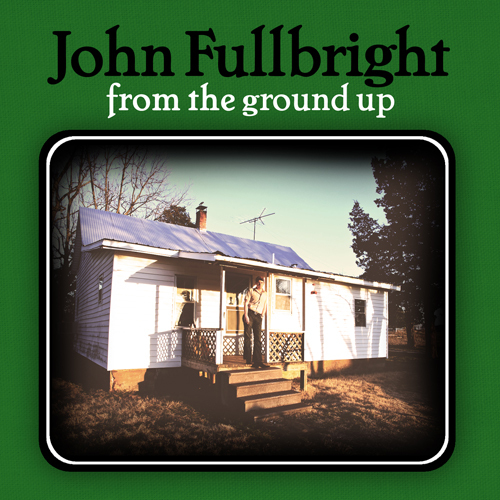 Jason produced the EP at his home and found us to finish the recordings with live drums. 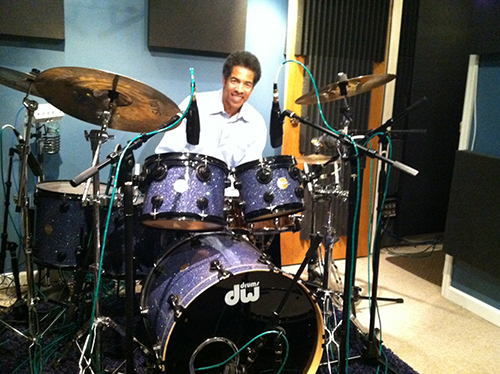 With professional drummer, Dan Winterstein, we got some really big sounds out of our custom DW kit. At Production Deluxe we have a passion for dsicovering and developing teenage artists. Whether the artist is looking to create a recording to enrich their college application, or to begin a professional music career it is important to get started the recording process started the right way. In addition to creating great sounding and enjoyable recordings we have helped students pass auditions and gain entry into special programs. 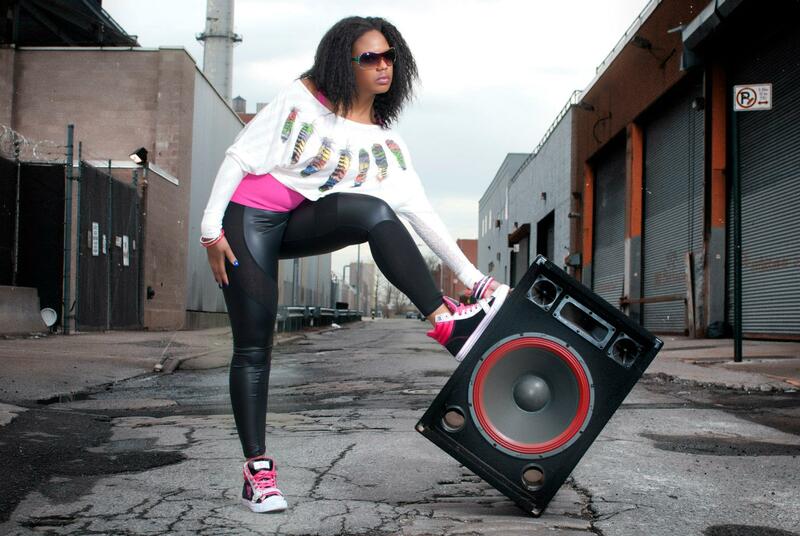 Many of our young artists have performed in conventions, festivals, clubs, and on mainstream radio. We strongly believe in the preproduction process, helping the artist better craft their songs, and perfect their performances way before we bring them in to hit record. We are very excited for the EP we are finishing up this month for one of our teenage artists Catherine S. It is truly inspiring. 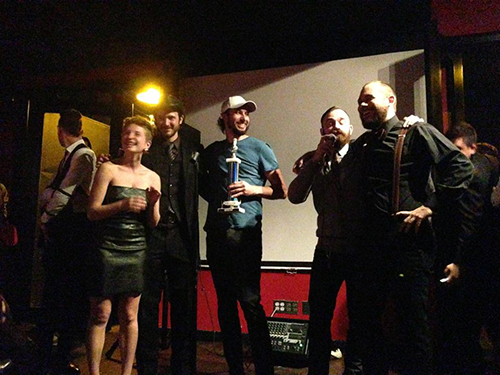 I was honored this past week when I was awarded “Best Cinematography” for our film “The Fudgitive”. A big ‘thanks’ to my teammates for making it all possible! 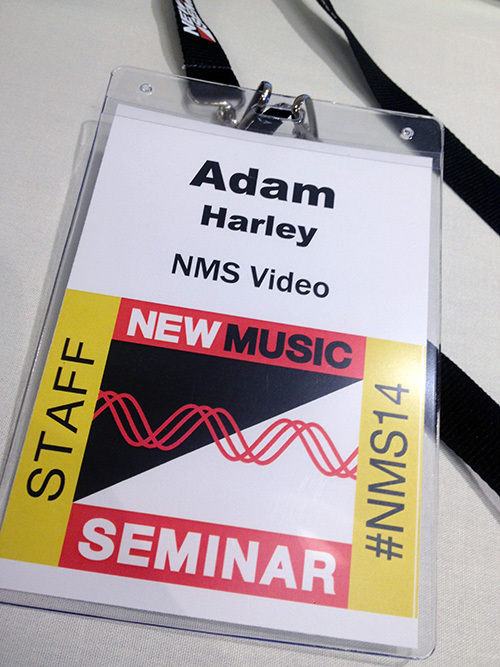 New Music Seminar is the place to network, engage, and get deeper into the music industry. It was a great event this year. I really enjoyed some of the discussions and got to meet some amazing people. On Thursday, June 05, the 11th Sparrow Film Project Gala will be held at The Museum of Moving Image in Astoria. The film I worked on, “The Fudgitive”” was nominated in two categories including cinematography. It’s going to be a great event. Hope to see you there! Event information below. The Sparrow Film Project will celebrate its 11th edition in style on June 5th at the Museum of the Moving Image’s Sumner M. Redstone Theater. Doors will open at 7:00pm, and the evening will kick off with a sparkling wine reception, followed by a screening of the nominated shorts. During intermission, there will be an open bar with catered food accompanied by live music. Back in the theater, the awards ceremony will commence. There will also be live musical performances. After completing a couple of family legacy videos, I decided to create one of my own. It documents my family’s experience of World War II in Poland, my father growing up in post WWII Poland, and his emigration to Italy and later the United States. Luckily, we have good photos and documents that help tell the story. History Channel, Here We Come! 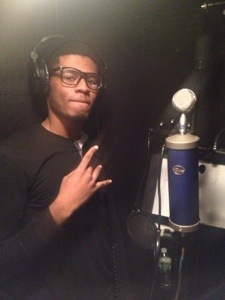 Raceto (pronounced ray-see-toe), a local Bronx, NY artist began recording his mixtape with us a couple of weeks ago. Lot’s of great rap tracks are on the way. We just wrapped on a :60 radio commercial for Financial Resources Federal Credit Union. Fun creative, a talented VoiceOver artist, and a great writer/producer made this project a pleasure to work on. Thanks team! 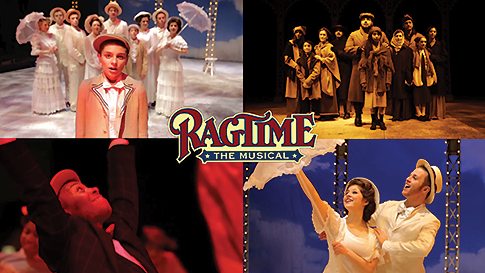 We just finished up shooting a commercial for the upcoming production of Ragtime at The Westchester Broadway Theatre. This Standing Ovation Studio production is sure to be a success. Make sure to catch a performance between February 27th-May 4th. The commercial will start airing early 2014. 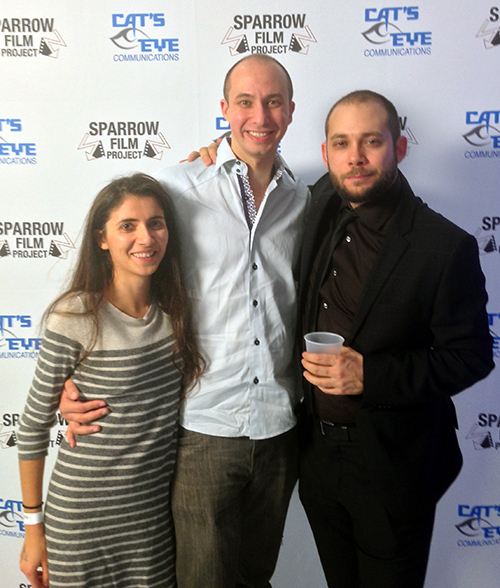 Yesterday at The Museum of the Moving Image in Astoria was the Red Carpet Gala for The Sparrow Film Project. 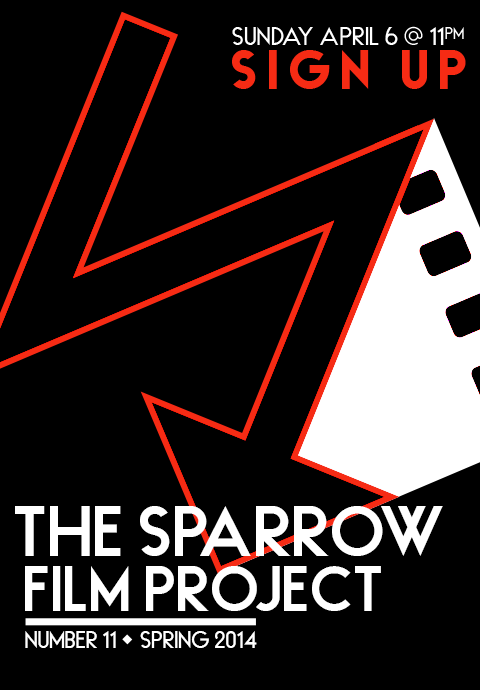 The Sparrow Film Project is a contest wherein filmmakers create 3 minute films in 3 weeks. It was thrilling for everyone to see their work on the big screen. A special thank you to Sal Milazzo and Mike Free for their time and dedication to making this an amazing event. 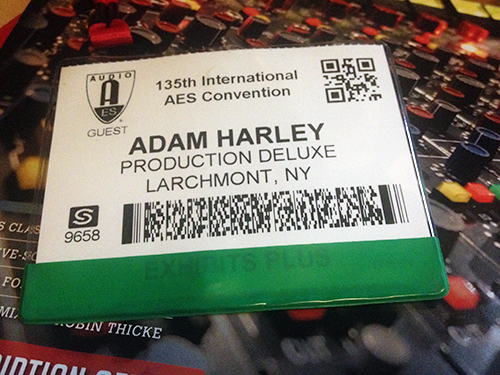 This weekend I was attending the 135th International AES (Audio Engineering Society) Convention. It was inspiring running into colleagues, friends, and old classmates. There’s some incredible new gear I’d love to get my hands on and I’m looking forward to the next one. 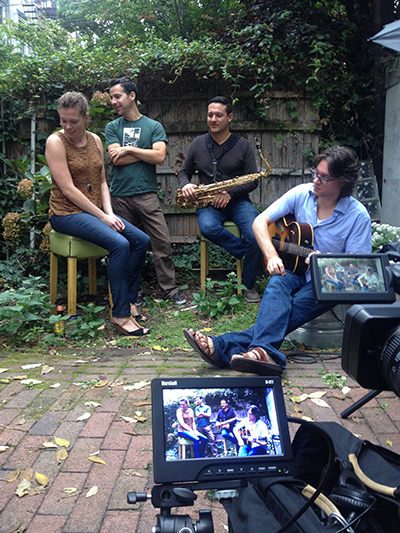 It was awesome working with musicians Nicole Lund, Alex Vargas, Paul Olsen, & Robert Saywitz on creating a Kickstarter video to raise funds for their upcoming record. Great music, great people. I had the pleasure of hanging out with my long time friend, Brian Carter. It’s great to have such a talented, professional drummer in the neighborhood. This week I was able to work with the band ‘One and All’ on their first recording titled “Let’s Do This Together.” It was a lot of fun. 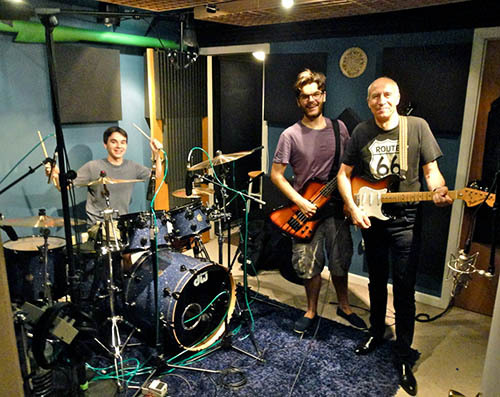 Julien Sorci (drums), Thibaud Sorci (bass guitar), and Francis Dumaurier (guitar, vocals, and blues harmonica). 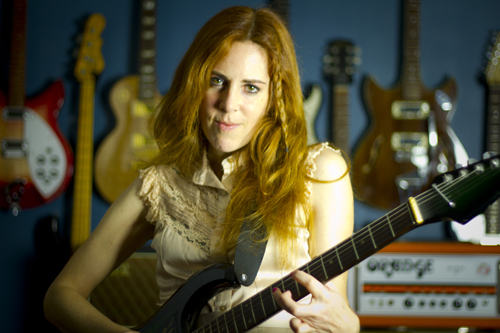 Congratulations to Robin Gager on her new music video for “Can’t Be Wrong”. It was shot in our green screen room. 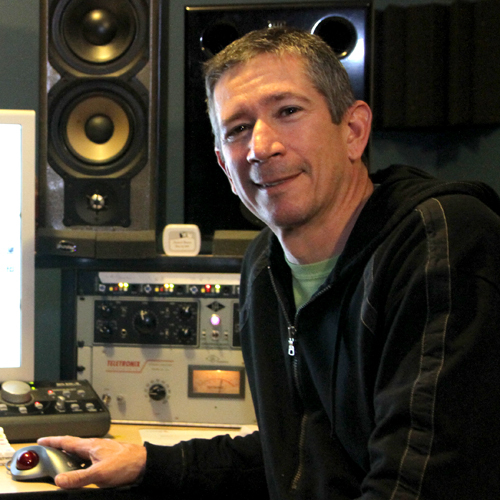 And the song itself was produced and recorded in our Westchester NY Studio. In association with North 40 Creative group we created a new radio campaign for Westchester’s ENT and Allergy Associates. This weekend I got to help out Sal Milazzo with a video project for the annual Astoria Gut Off. 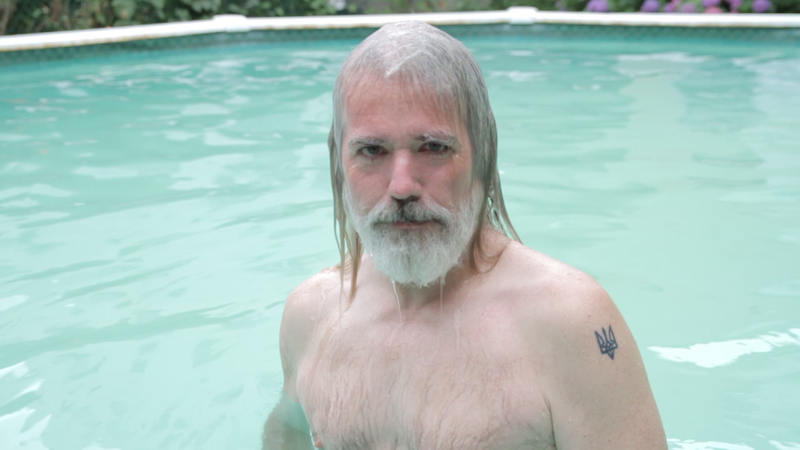 The video features a transformed Andy Sydor, who during last years contest dropped a whopping 75 pounds. 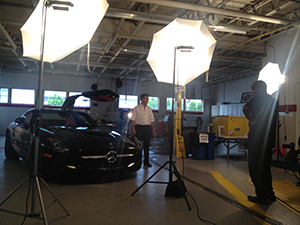 It was great for Alan and I to return to Clarkstown International Collision to shoot another commercial for them. That’s one amazing machine in the background. Future Hype Media is back at it again This past week Alan and I shot a great :30 broadcast cable commercial for The Proform Tennis Academy of Rye Brook, NY. 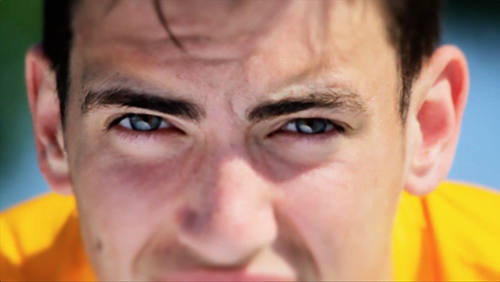 It will be airing during the upcoming 2013 US Open, so keep your eyes peeled! I had such a great experience working with the team @therefinerynyc on some awesome audio post on some great upcoming video game trailers. It’s a nice comfy 5.1 room to work in, in midtown. 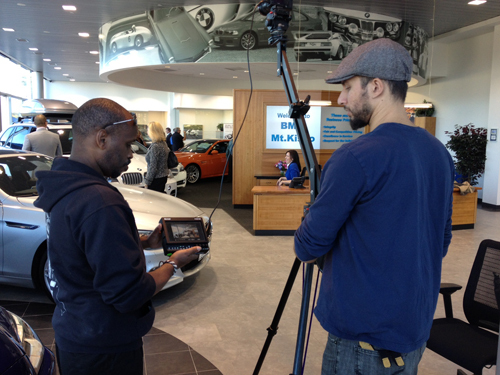 We had a great shoot yesterday creating our second commercial for BMW of Mt. Kisco. Last night was the 9th Sparrow Film Project Gala and Screening. The Sparrow Film Project is a collaboration of local filmmakers, challenged with making a 3 minute film in 3 weeks. 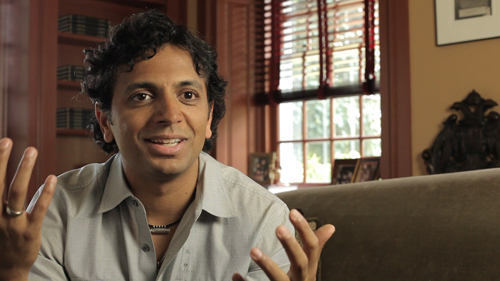 For every project, the filmmakers are tasked with a set of criteria for their films. 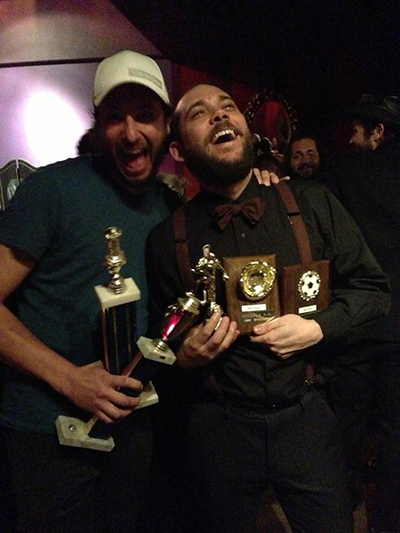 Sal Milazzo and I were honored that last night at the gala our film “I Like Pie” took home several awards. Best Cinematography, Best Picture, Best Sound, Best Edit, and Fan Favorite. Wow! 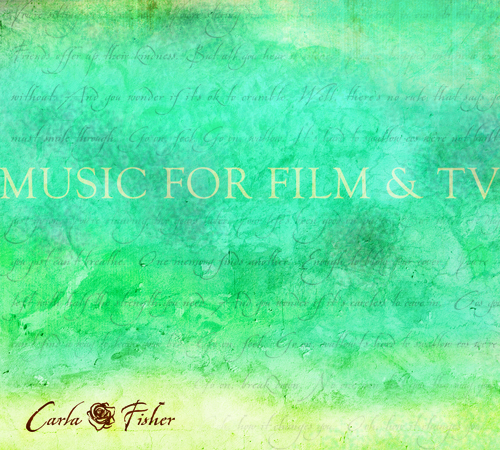 This week we are recording a new, ballad written by Carla & Thomas Fisher titled “Growing Back”. I am co-producing the track with the talented Justin Gild. 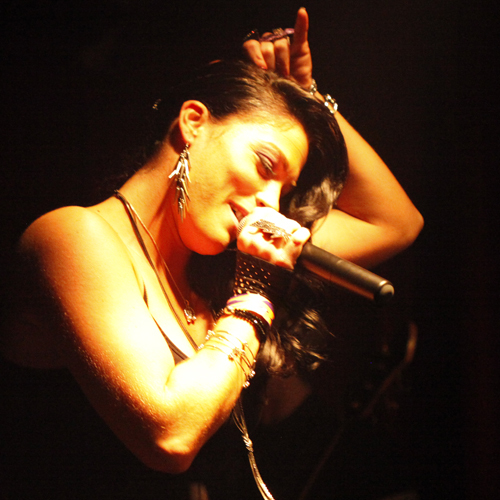 Stephanie Harrison lends her beautiful voice to the track to make it truly amazing. Today we started recording Skot Bradley’s latest and greatest tunes. Killing band with Josh Dion on Drums, Rozhan Razman on Bass, Skot Bradley on Guitar and Vocals. It’s been a very Jersey past couple of days. 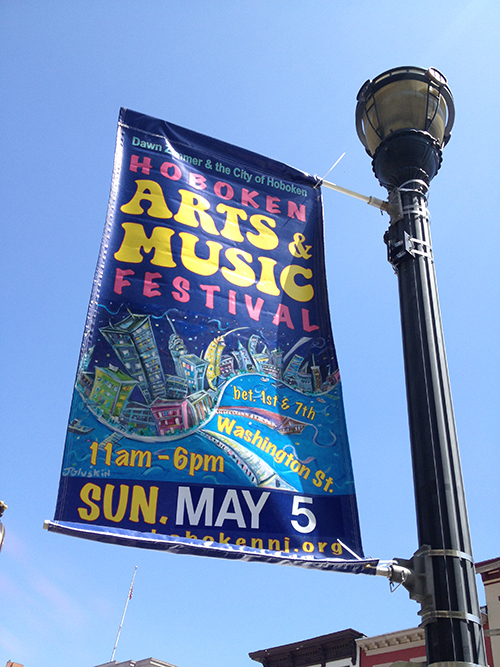 On Sunday I was working on a commercial campaign for the Hoboken mayor-elect. 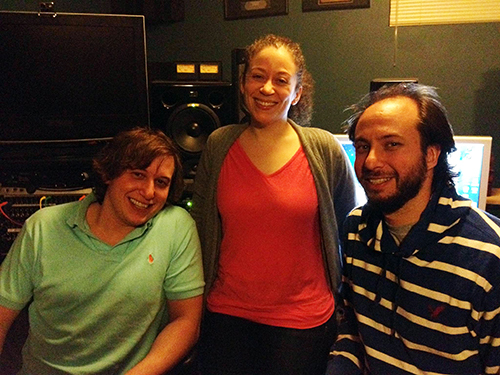 And today we have been in the studio creating a jingle for the summer town of Seaside Park, NJ. This past week we have been shooting a great commercial for the Planet Wing franchise. The spot has a great creative approach beginning with a classroom scene, traveling to the Rego Park (Queens) Planet Wings, and concluding with a wing delivery to the teacher’s house. Since the franchise has a far reach with 28 locations, expect to see it airing everywhere. 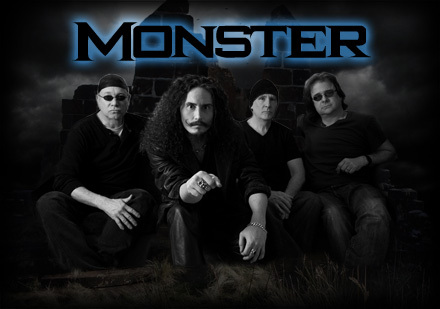 Shooting the rock band “Monster” this weekend was awesome! 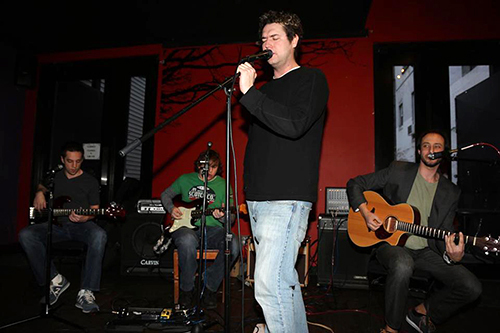 Band members, Jason Spoor (vocals), Gene Moore (guitar), Greg Fiellin (bass), and Doug Brown (drums) sounded great headlining a night of music with fellow local bands Frankenstein’s Baby and KAYMUS. Here we are in Hoboken, NJ on the Hudson river. It was a great shooting video for a political kickoff party. What a great city! We have just finished outfitting our new greenscreen room. It is now up and running and we’re having a lot of fun with it! The room is acoustically treated, so everything will look amazing AND sound incredible. 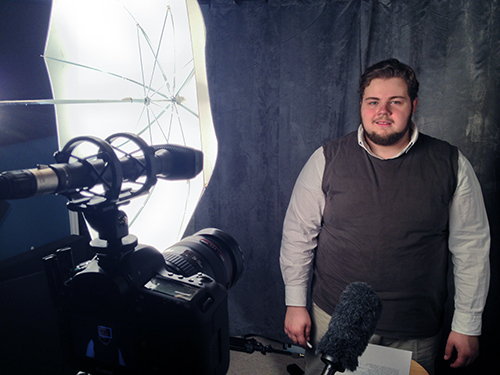 Be on the look out for some new, exciting video production work soon! 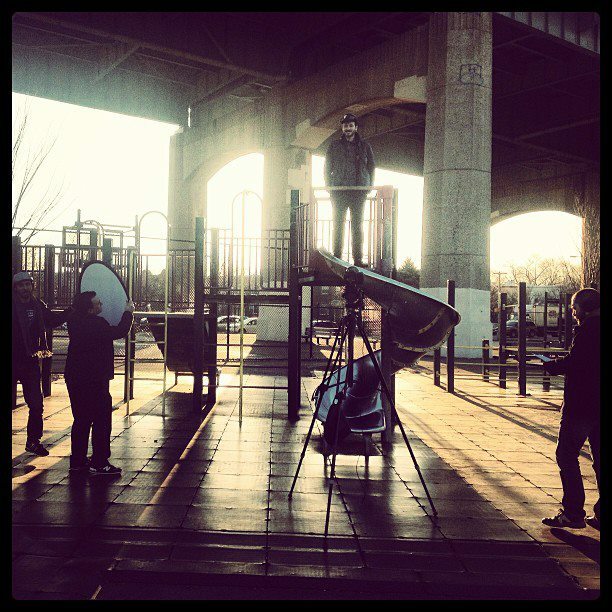 Here we are in Triboro Bridge Park at an early call to shoot for the Sparrow Film Project. I loved working with my fellow Astorians to create a short titled “I Like Pie”. It is destined to get big laughs. Stay tuned for updates. I was working with Joey, a young auditioning actor, to create an audition tape for him. Good luck on landing Shrek! 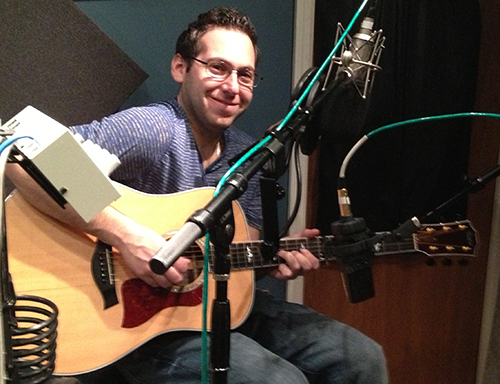 In the studio this weekend with singer / songwriter Matthew Ruttenberg working on his latest release. 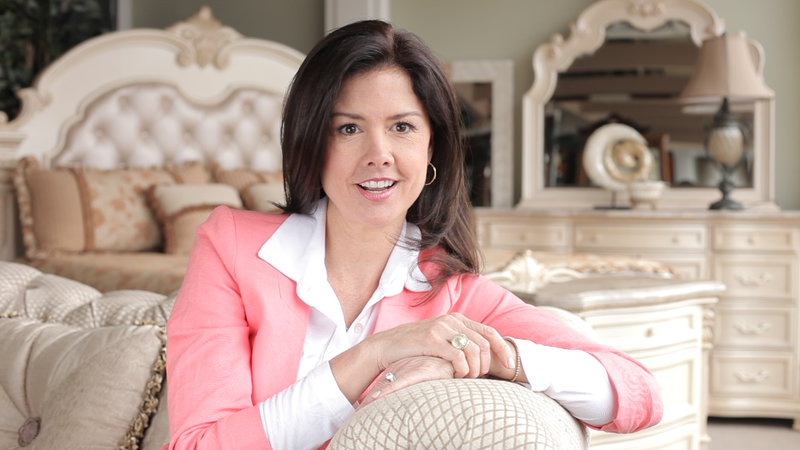 Yesterday we got to shoot a testimonial driven spot for Legacy Furniture on Central Ave in Yonkers. Our talent, Marci Hopkins, was absolute perfection. It’s going to be another amazing spot for a local business. Keep your eyes open – it will be airing beginning March 8th. Impromptu preproduction meeting with Don Gator for “In My Mind” Awesome song! 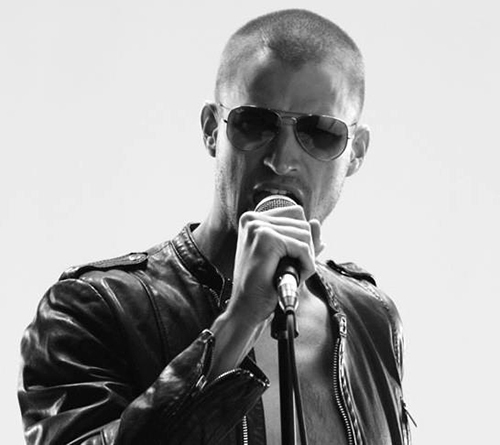 We know a lot of people are excited about another release from the King of Spyrock. 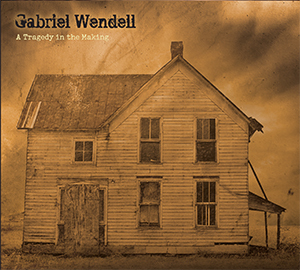 You are invited to the record release party for Gabriel Wendell. Join us March 17, 2013 to celebrate this epic release. I spent much time with Gabriel producing and co-writing this record. Please visit his site to get a taste of what’s to come. I had the pleasure of catching an amazing production of In The Heights at the Westchester Broadway Theatre. I was hired to film a special presentation featuring multiple Tony award winner Lin-Manuel Miranda. The show, featuring actors from the original broadway cast and the national tour, is well worth seeing if you can still get tickets. Keep your fingers crossed for an extended run. This week we’ve been working on our third commercial for Clarkstown Pharmacy in New City. This commercial is the brand’s first comedic spot featuring three wonderful actresses and brings attention to the fact that Clarkstown Pharmacy will fill your prescription in 5 minutes or less. It will be airing on Cablevision later this month. We at Future Hype Media would like to wish you all a healthy and happy new year. 2012 was a great year for us and brought us the opportunity to work with so many great people and companies. From medical to auto, non-profit to social this year we’ve done it all. Some of our 2012 clients include Westchester Broadway Theatre, Star Kidz, Yemaya Health & Wellness, The Dicker Reading Method, Westchester ENT, Clarkstown International Collision, Lighthouse Youth Theatre, Random Farms Children’s Theatre, The Hollows at Blue Hill, Clarkstown Pharmacy, ARC of Rockland, Princeton Longevity Center, Rockland Kitchens, Fred Astaire, Tarrytown Dance, Media Guest Connect, DOCS Medical Group, ACADA – Arts & Crafts Dealers Association – NYACK, Chron’s Colitis Foundation of America, STRONG Learning, Palisades Audi, Mt. Kisco BMW, Pupilo Agency. Stay tuned for behind the scenes info from 2013! 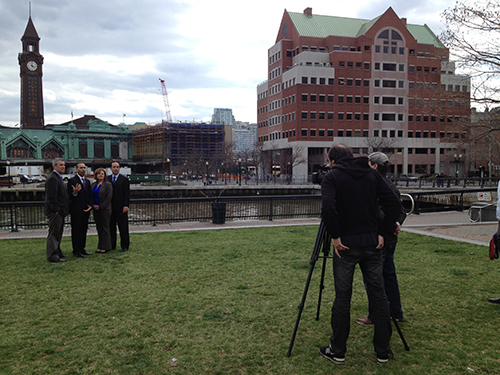 This past week we shot a :30 second broadcast commercial for Pupilo Agency in Yonkers. We had a very successful casting for a clever, creative script we have put together for Clarkstown Pharmacy at McCaskill Studios in NYC. Many thanks to the talented actresses who attended our audition. We’re looking forward to the shoot in January. Right before Thanksgiving we returned to the Hollows at Blue Hill to shoot their third commercial. The Hollows is an active community for adults 55+. It is a beautiful development with great luxurious townhouses. This spot was shot in their brand new 2013 model home. It will be airing beginning in December. Here we are shooting for BMW Mt. Kisco. 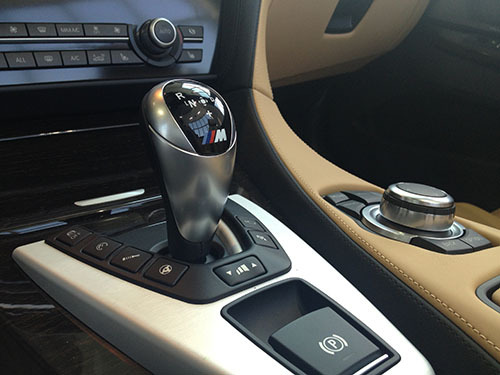 Our dealership clients appreciate the national look and feel they get for their local spots. Beautiful cars & great people. Airing soon. 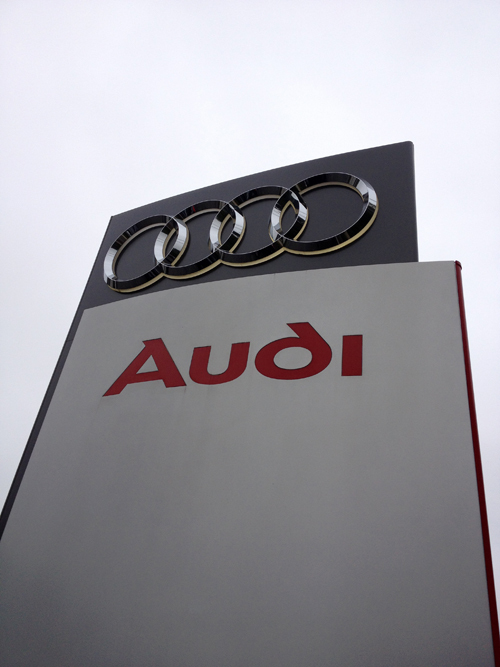 We started production on a broadcast cable commercial for Palisades Audi in Nyack, NY. Beautiful showroom and amazing machines. Airing soon. We have been creating a video for CCFA that documents the story of an eleven year old, Jonah, and his family as they deal with Crohn’s disease. The Crohn’s and Colitis Foundation of America (CCFA) is a non-profit, volunteer-driven organization dedicated to finding the cures for Crohn’s disease & ulcerative colitis. They do amazing work. Help find a cure! 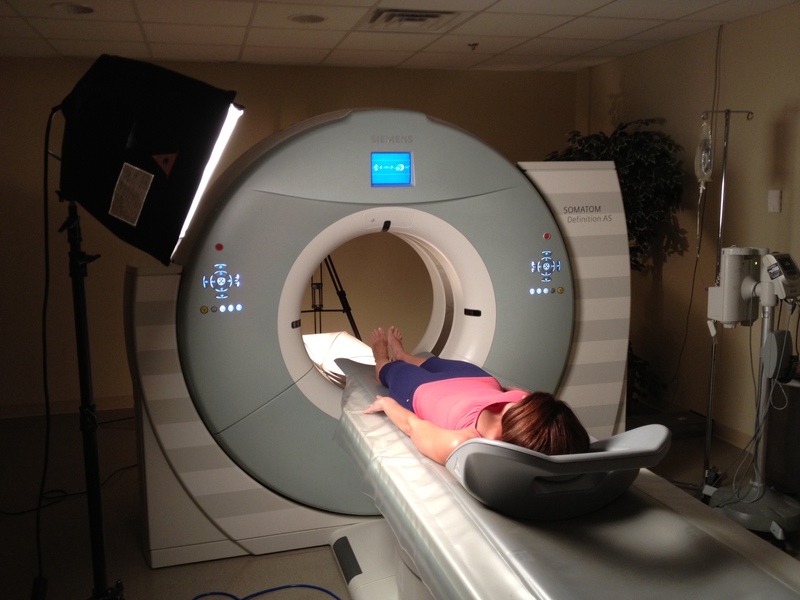 Take a look at this 64 slice CT scanner – it is AMAZING!! While working on a 30 second broadcast cable spot for the Princeton Longevity Center we got a first hand look at how health care is supposed to happen. They have truly cutting edge technology and a great, caring staff. Wow! I really want to schedule a comprehensive exam with PLC. 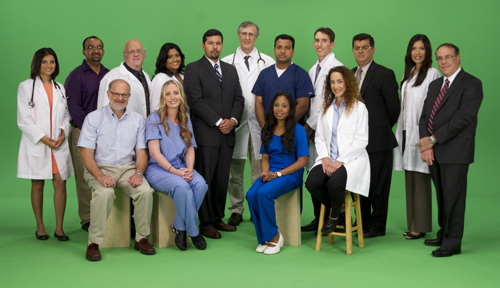 For the past 30 years DOCS has been providing quality health care services for Westchester County and the Bronx. 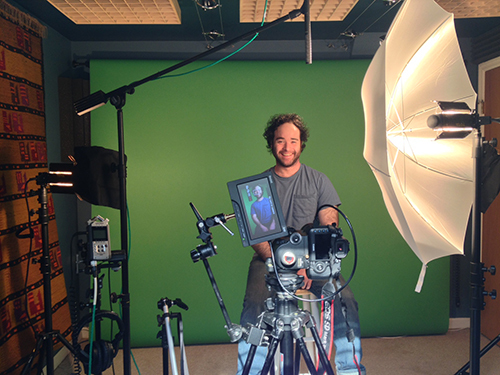 Today we were at Bravo Studios in Manhattan creating a quality commercial at their green screen equipped facility. 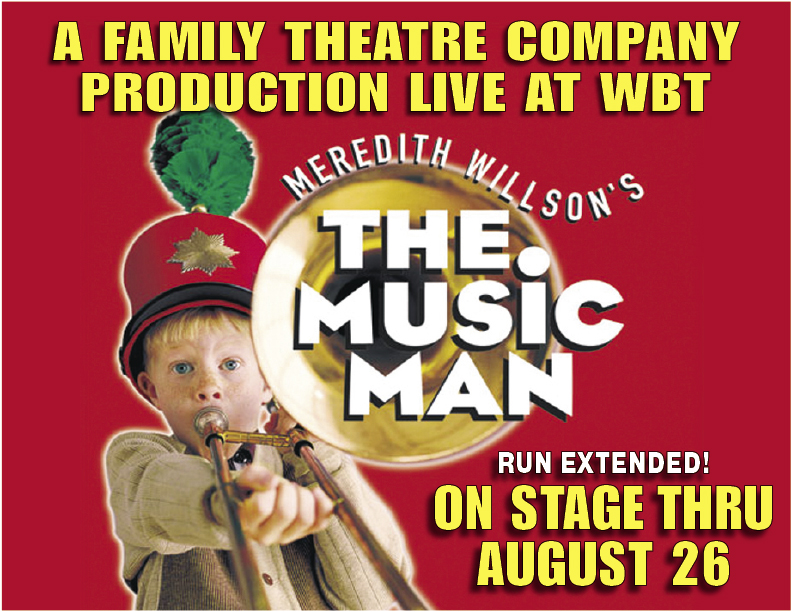 Today I’m finishing up a :30 broadcast commercial for The Music Man. It’s running for a limited time so be sure to catch it before it’s too late (August 26). Great cast & great show! The spot will start airing this week. I spent the past week working in Erie, Pennsylvania at the historic Warner Theatre. It is a gorgeous venue with a lot of history. I was creating video content for a prestigious dance school – Marguerite’s Academy of Dance. We got lots of great footage and It was a great trip! ARC of Rockland is a very important organization that you should know about. Conceived more than 50 years ago by a small group of dedicated parents, today ARC provides supports and services to more than 1200 people with intellectual and other developmental disabilities from infancy through the senior years. ARC is a vocal advocate for legislative issues affecting people with intellectual and other developmental disabilities and their families on local, state and national levels. Future Hype Media is creating a video for ARC of Rockland to help raise awareness of their Early Intervention program. Through the Early Intervention program infants with intellectual or other developmental disability may receive physical, occupational, speech and play therapies at home beginning shortly after birth. We launched into production this week creating a package of videos for Fred Astaire Dance Studios – Tarrytown Dance. Studio owners Sasha & Olga Bylim really show their passion for dance, their students, teaching, & their amazing staff during their interview portion. We are looking forward to our other upcoming shoots for FA TTD. 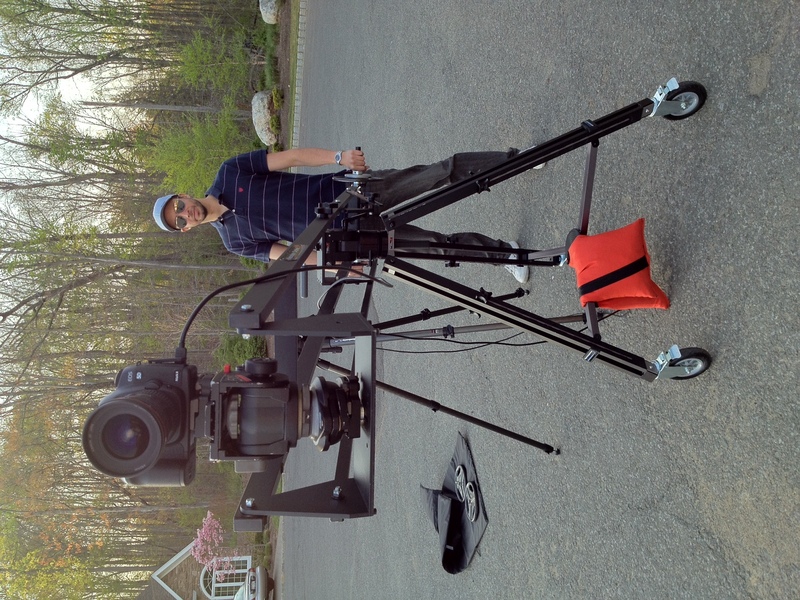 Here I am operating the crane for our second commercial for The Hollows at Blue Hill. The first commercial just started airing this past week and the new spot should be up and running this time next week. Donate Life America is a 501(c)3 not-for-profit alliance of national organizations and state teams across the United States committed to increasing organ, eye and tissue donation. This month I worked with song writing team Carla Arnone Fisher and Brenda Rudzinski on their song “Give to Live” written to create awareness for organ donation. It will be debuted at a gala dinner benefitting Donate Life. 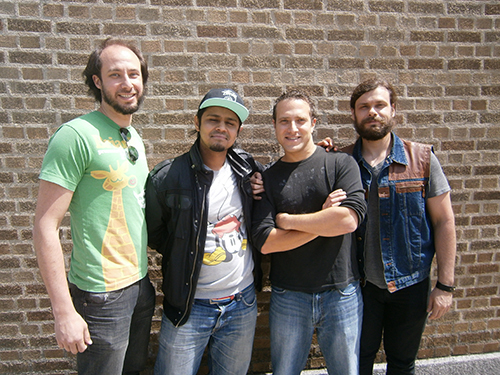 Yesterday Fireproof Studios in Brooklyn hosted some scenes of the upcoming Don Gator music video for “My Love @ MI6”. Below you will see a crime scene being set up. Notice the overhead sprinklers, everyone got soaked. The Hayes Twins + The Red + Don Gator = amazing video. This weekend we shot a spot for The Hollows at Blue Hill. The Hollows is an active community for adults 55+. It is a beautiful development with great luxurious townhouses. As usual it was a smooth shoot and it will be airing this April. 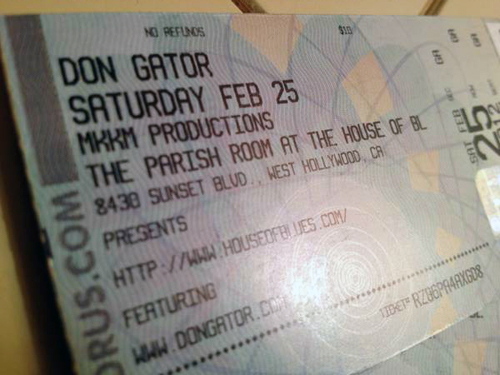 When I heard that one of my artists, Don Gator, booked a Saturday night gig headlining The House of Blues on Sunset Strip I booked a flight out and found myself pretty busy throughout the trip. 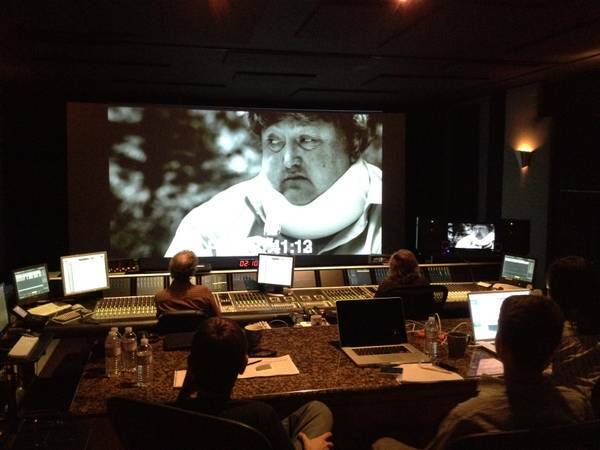 Throughout the week I got invitations to sit in on a bunch of sessions (dubbing, spotting, foley and mix). 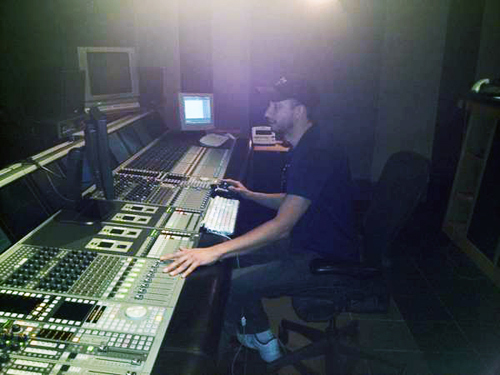 The shot above is from a mix session at Mercury Sound in Glendale for a great upcoming feature. 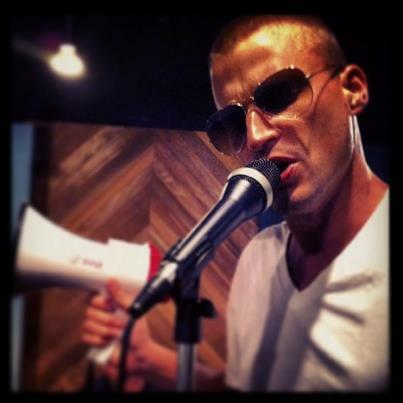 I had a lot of fun during a spotting session at Polarity in Studio City for an upcoming Jason Statham film. Thanks to everyone for the hospitality – I’m greatly looking forward to my next trip out. The shoot at Yemaya Massage & Wellness center this past weekend went very well. We had the pleasure of working with a lot of dedicated and talented actresses and the amazing & friendly Yemaya Staff. It will be airing soon – keep your eyes open for it. 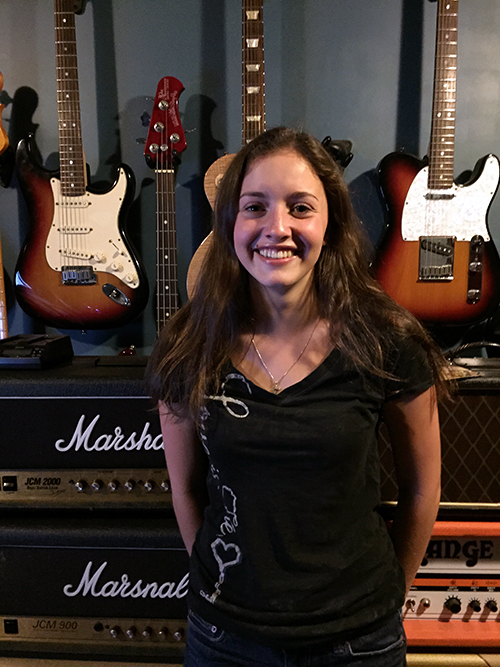 After tracking vocals here at Gnome Music Studio with team member Mark Buono Krista has released a music video for “Road to the Top.” Congrats! This past week we completed a broadcast cable commercial for the upcoming production of “Big River: The Adventures of Huckleberry Finn.” The commercial was filmed at the Westchester Broadway Theatre where the show will start running in February. Buy some tickets and check it out – it is a limited time engagement. The commercial is already airing so keep your eyes peeled. Every now and then, we get a call from a potential client who needs something done in a hurry. Clarkstown Pharmacy saw a great advertising opportunity that they didn’t want to pass them by. They wanted to create a commercial and have it airing within two weeks. We were able to complete the project in less than a week — it felt great to be able to shoot, edit and air a project ahead of schedule. Although it won’t be released for some time, we just received the first two songs from Robin Gager’s upcoming record back from our mastering house. We’re all very happy with the way the tunes came out. Sounds fantastic. Congratulations Robin! We recently completed a two camera shoot for The Institute for Integrative Nutrition in the recording studio of Jazz at Lincoln Center. It’s such a great room to work in. 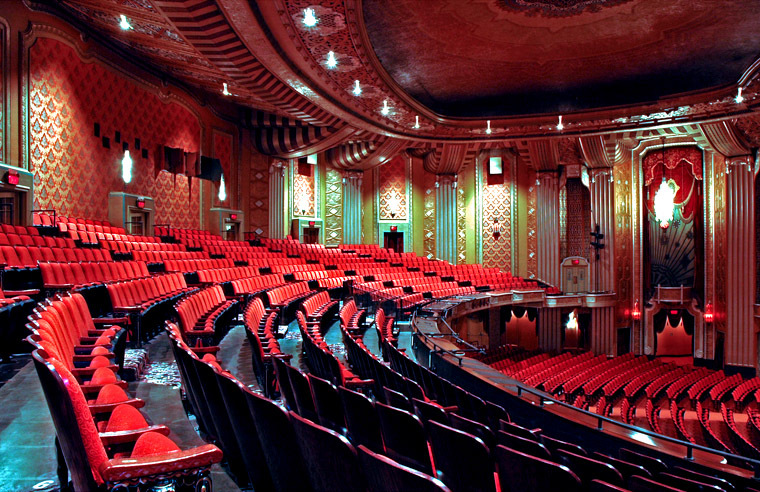 Very, very spacious with phenomenal acoustics. As you can see, we shot against a white seamless. Integrative Nutrition is a leader in holistic nutrition education. They teach a wide variety of skills in health coaching, nutrition education, business management and healthy lifestyle choices. Check them out – very cool stuff. 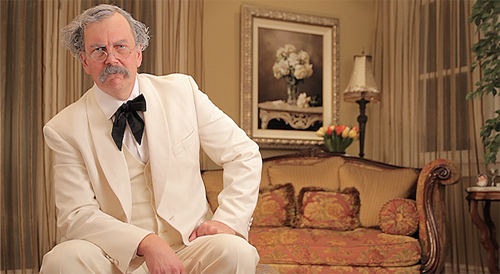 Last night I had the pleasure of working with a celebrity; you might have heard of him: Mark Twain. Well, it wasn’t obviously the real Mark Twain – he died over a hundred years ago. This was an actor, a very talented actor, Bern Winslow Budd, who has an uncanny resemblance to Twain. 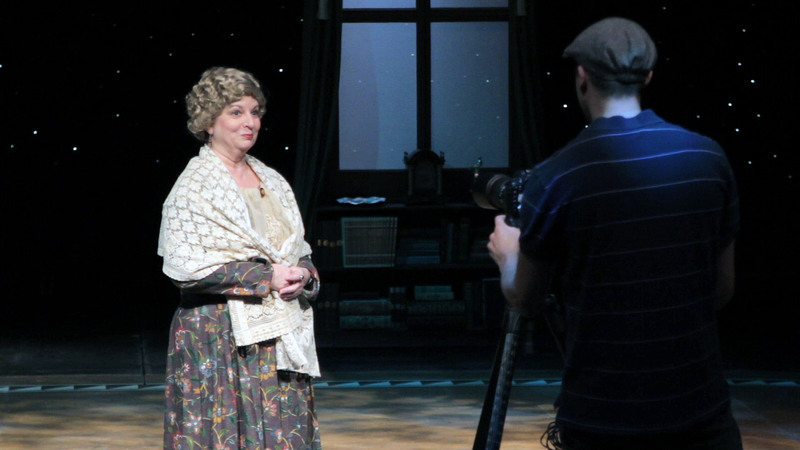 The shoot was for an upcoming production of “Big River” at The Westchester Broadway Theatre. 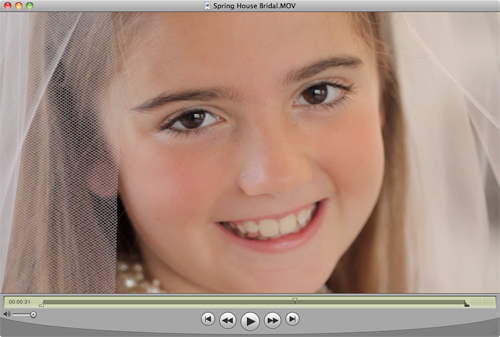 We spent the day in Garnerville, NY at Springhouse Bridal & Formal Attire shooting a :30 broadcast commercial. This is not your typical local cable spot it has some really fun creative and of course stunning imagery. It has several micro scenes with a young girl who spends all of her time dreaming of her wedding: playing “Here Comes The Bride” on the piano, writing in her diary “Mrs. John Smith” over and over, and a scene with the girl acting out a proposal with dolls. We finally see the girl playing dress up in front of the mirror dressed in all white, when she is transformed into her adult self being fitted for her wedding dress in Springhouse Bridal. We expect this spot to be airing before December. A big thank you to everyone involved in the shoot today! Within the past week we tracked, mixed, and mastered Bill Steely’s “Walking Through Grand Central.” Everybody in the project was great to work with. We’re all excited that the track has already been selected to be included in the latest Acoustic Rainbow “Roots Sampler” CD. There’s also some talk about airplay in the near future. 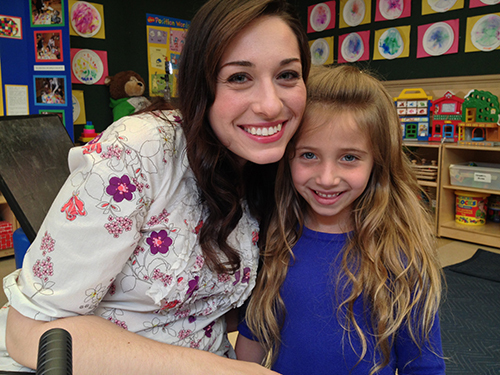 We recently completed a promotional video for an in-school anti-bullying program. It seems extremely relevant since we see headlines involving bullying victims all too often. “The New Kid” deals with social issues and basic human lessons that strive to assist children in their own personal development and guide them toward healthy interaction with their peers. 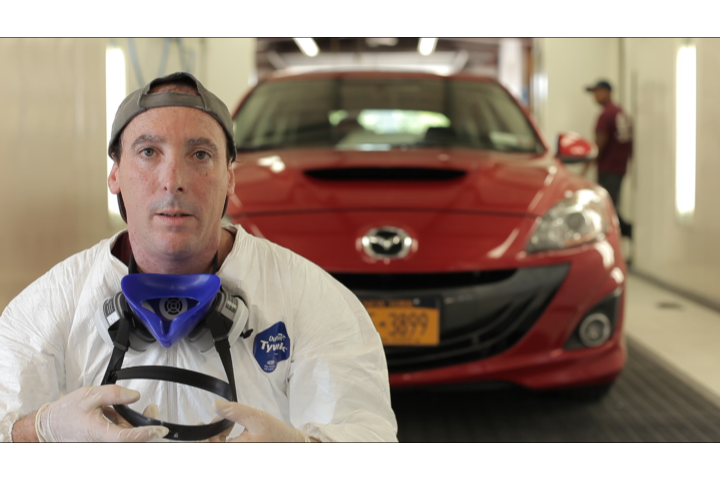 Over the past week we have made a couple of trips up to Clarkstown International Collision in Nanuet, Rockland County to film a broadcast commercial. The staff at CIC are absolutely amazing. Everyone was happy, friendly, and supportive. You could really tell how passionate and hard working everyone is. It seemed as if they were one big family. The work they do is AMAZING!!!! It will start airing locally on Cablevision starting this October. This month we have been working feverishly on finishing up the latest Don Gator release. Everyone in the DG camp is looking forward to finalizing the mixes and sending them to the mastering house. The production value is huge including a Macedonian orchestra accompanying the band on “Heaven” and a high octane, jet-ski chase filled, “Benedict Mauvais” music video (featuring the beautiful Cairme Lobo, directed by the talented George Salisbury). Further details are on a need to know basis. 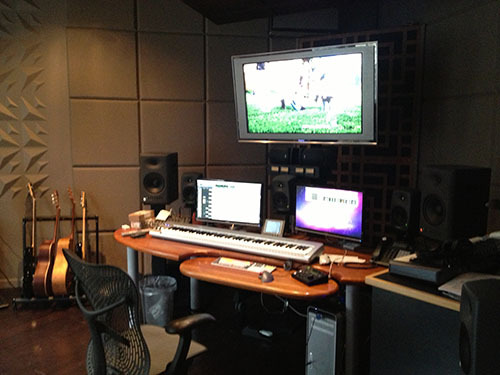 It was great working in conjunction with North Forty Music on a series of radio spots for ENT & Allergy Associates. A big thank you to Jim Todd of North Forty Music for making it all happen as well as to the in-house ad/marketing team at ENT and Allergy for making it so pleasurable. I had the honor of creating a video for two amazing organizations, MNSF & Givology. They had an event this past Friday night to celebrate their new partnership and to raise funds for the many grassroots organizations and student scholarships that they support. It was a real treat to travel to Philly and work with M. Night and his lovely wife Bhavna at their ranch. The video was played at the event and was very well received. Please check out these amazing organizations and support them. Giving with Givology is easy and fun, and you don’t have to donate a lot to make a big impact. 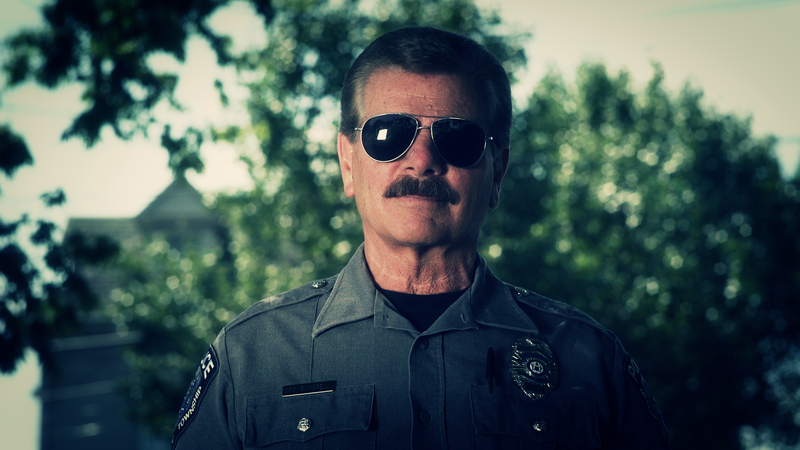 Be on the lookout for a new commercial that we produced for RFKT. 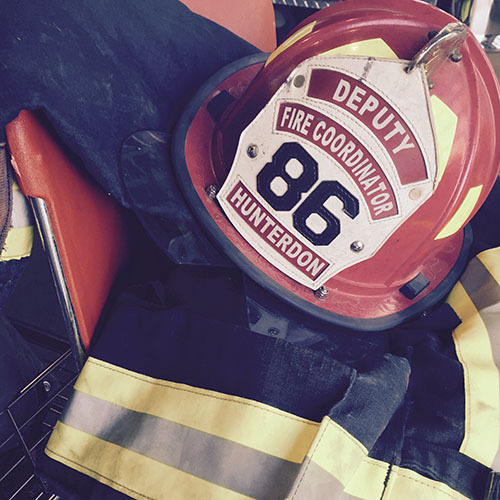 It has been and will continue to be airing on Cablevision throughout Westchester. The spot is also posted on our website. This week we started recording “Find More Time” by Laura Stack and narrated by the lovely and super talented voiceover artist/actor Gaby Gold. 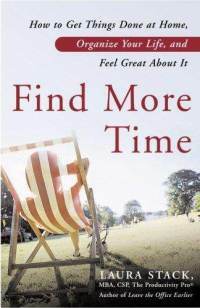 I believe the “Find More Time” audiobook will be available from Amazon by the months end. Turn on your tv’s (if you haven’t cut the cord) and try to catch the Banzai commercial that we produced. It’s airing in heavy rotation on most major stations, so if you’re watching and not blowing past commercials on your dvr you’re bound to catch it in the ny tri-state area. Last summer we created a comprehensive health and safety training video for independent contractors who visit Veolia’s Middlesex, NJ facility. We were happy to return at their request to create a new training video that will run on loop at the plant for drivers. We brought the crane with us this trip and got a great crane shot of a driver stepping into his truck. Thank you to all of the Veolia employees who are always so nice and helpful. It is always great working with you. 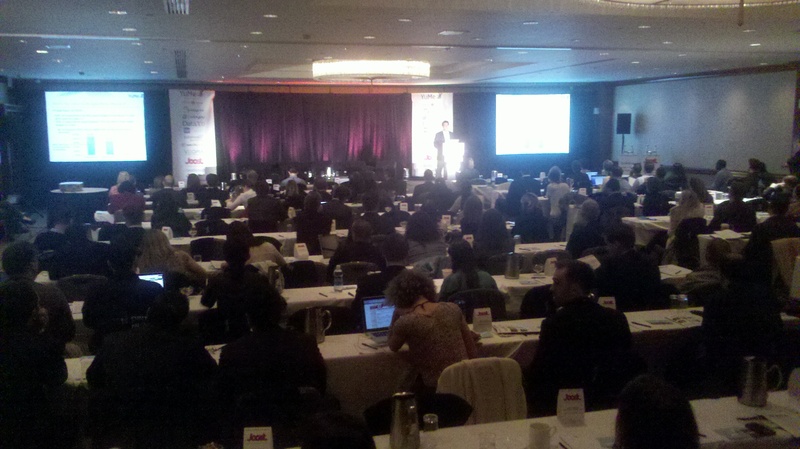 I enjoyed my time at the DIGIDAY: TARGET conference in NYC today where leading agencies, brands, content and technology companies examined and explored the innovations and the future of audience targeting, networks, exchanges, data management and aggregation for media and marketing to consumers. 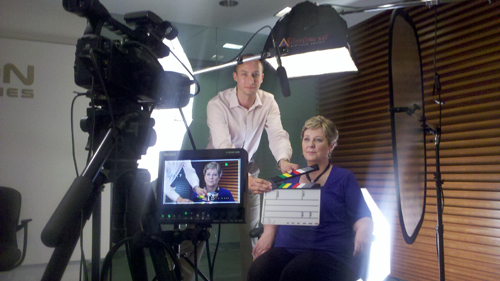 It was great directing a voiceover for an eHarmony web tutorial this week. It’s always a pleasure working with a quality company like eHarmony. Banzai – Hibachi Steakhouse, Sushi, & More! We had a great time working with the Banzai staff, our cast, and our crew. Thanks so much to everyone for making it a successful shoot. We shot the entire commercial with Canon DSLRs 5DmII and 7Ds. 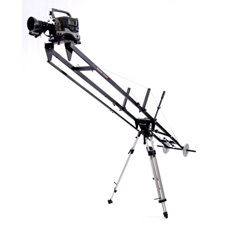 The Kessler Crane was a great addition to the shoot. We should wrap up the production shortly after our next pickup day. Be on the look out in about a month for the commercial airing throughout the Cablevision system. Future Hype Media has purchased a crane. The Kessler Crane is simply amazing. It allows us to get a lot of the big budget Hollywood moves. We took it out of the box yesterday and we love it. 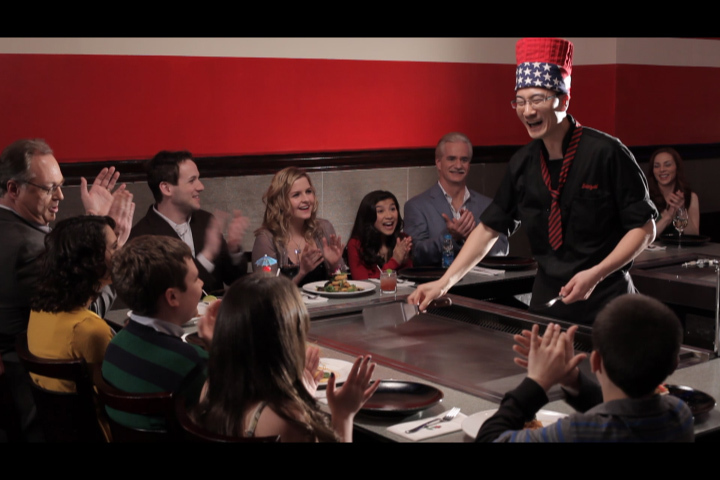 We will have it in our first field test this Monday as we shoot a commercial for a Hibachi restaurant. Digiday: The State of The Digital Video Upfront: The best and the brightest in digital video, emerging platforms, plus media, marketing, publishing, and television executives addressed the future of video programming and advertising. During this high-level event, Top Brand Marketers, Agency Executives, Publishers, Content Owners, and Video Technology experts came together to discuss and explore the shape of the burgeoning Upfront Digital Video Advertising Market. The conference took a deep dive into the advertising and content market, the buying and selling opportunities, the projected growth, and the way brands and agencies are harnessing the power of digital video toengage today’smulti-screen consumer. We have been lucky enough to be working with Digiday on several of their semi-annual conferences by providing external users with a live streaming HD feed. We are also currently producing a :30 spot for their upcoming Digiday: On Media conference. > Solar panels at the Kokwa Island school in Kenya: This girl’s boarding school in the Lake Baringo community has installed four solar panels to deliver electricity to eight classrooms, two dormitories, a staff room, kitchen and dining hall. By harnessing the sun, “children are now able to have longer study periods in the evenings, between 7 p.m. to 9 p.m., and again in the early morning hours, between 5 a.m. and 6:30 a.m.,” reports Jackie Mollel of ChildFund Kenya. > Eco-friendly stoves in Uganda: Confronting severe poverty often means thinking creatively while keeping the environment in mind. The introduction of energy-saving stoves in Uganda’s Wattuga Subcounty is creating manufacturing jobs, and it’s changing cooking practices. Families in Wattuga have typically cooked on open fires, using considerable amounts of firewood. The eco-friendly stoves hold heat, reducing the amount of wood needed to cook, and they produce less smoke than an open fire. In an attempt to stand out from the other Adam Harley‘s in the world, I have launched a new website: http://www.adamdharley.com It is a great resource to finding my many web happenings including this blog, my commercial video production company, my music and audio recording studio, my LinkedIn, Twitter, Facebook and all other things Adam Harley. Please tune in on March 22, 2011 to catch Future Hype Media Founders, Alan Kirschen & Adam Harley, as featured guests on the Forward Motion Radio Show. The information-based show Forward Motion features forward-thinking business and life coach Carmen Carrozza, who helps listeners become aware of stumbling blocks before they slow you down. Join Carmen and co-host Carla Fisher as they provide business strategies for any economic environment, as well as providing coaching steps to better your career, improve your life and optimize your potential. Future Hype Media is proud of all the work that it does for and with NPOs and charity’s. Tomorrow please join us for Givology’s $10k for 10 Schools Charity Auction Benefit. FHM media will be supplying coverage for the event and crafting the footage into several products. Givology is a truly great cause. Givology is an online giving marketplace for education that supports student scholarships and grassroots education projects in the developing world. As a P2P community, Givology partners with NGOs and schools throughout the world and bridges the gap between Internet donors and students and villages in need.